I have done a few modifications, from simple spring upgrades to a Nitefinder rifle. Since this is my first big modification, I am wanting to do it properly. So as you've probably seen from the title, I need some help with a brass breech. I've seen enough tutorials, guidelines, etc, to understand how it works, there's however 1 part I need help with. 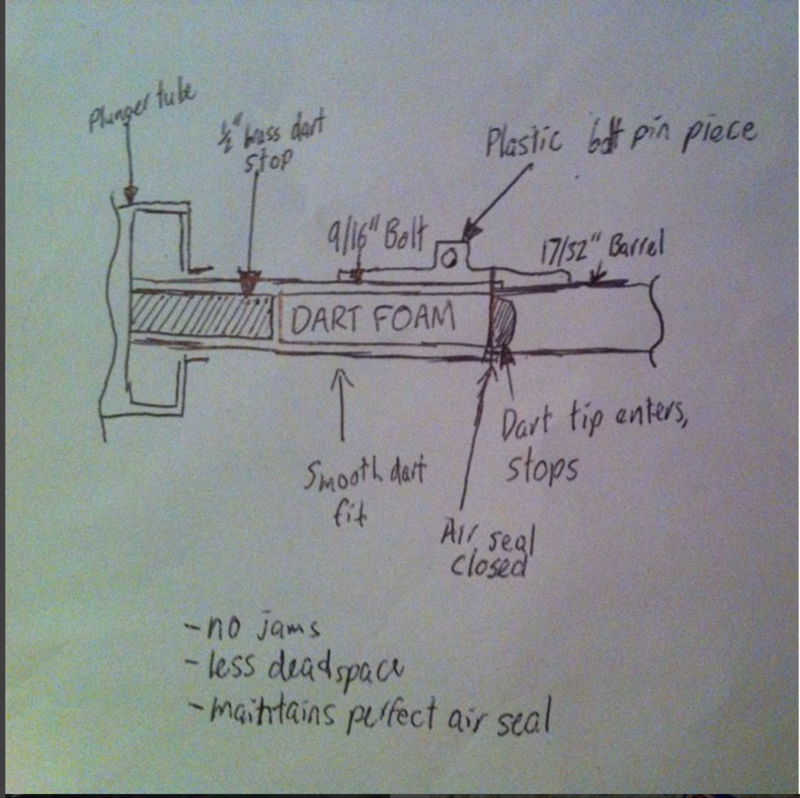 I want to build the brass breech for full length darts, I know stefans/slugs are superior, but in the Netherlands the buy in is really expensive because shipping fees and import costs can be a real problem sometimes. As far as I've seen, there are 2 main ways doing it. 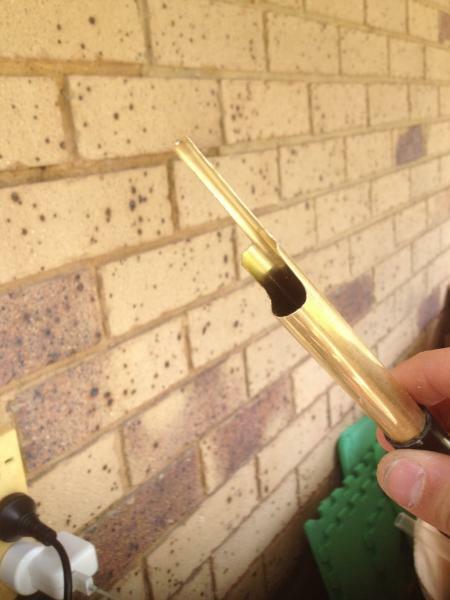 The first one involves having a longer piece of 17/32" brass, here the 17/32" brass sticks out to the back and makes sure darts don't get pushed out. 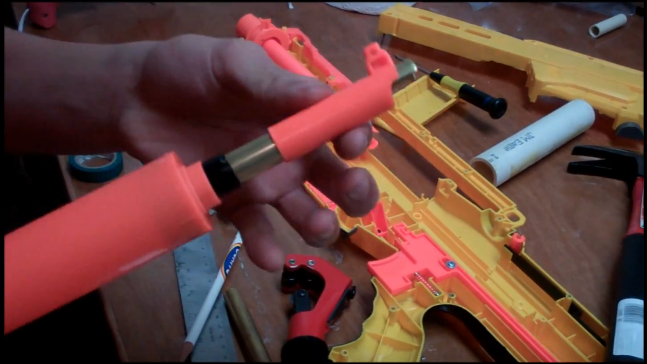 The first method has thus a shorter piece of 9/16" brass sticking out from the "receiver" (I don't know how it's called in the nerf jargon). The second method involves having a longer piece of 9/16" where the darts rest under, and a shorter piece of 17/32" where the darts go into. My question is, which one of the two methods works the best and gives the best results? For the spring I am going to use a 9kg spring made by worker, which was included in a longshot kit. Although I have no firsthand experience with it, I have heard lots of great things about the sleeper breech. Something to remember: both of these breeches feed in almost the exact same way. Both have barrels of 17/32" and bolts of 9/16." The main difference is how they utilize the original breech and how the brass is cut. The OZ sleeper breeches are generally cut in that way to allow nerf magazines to be loaded into the blaster when primed. The other breech you have pictured would not be able to do that. Something to remember about sleeper breeches: they utilize the entire stock bolt piece (black piece within the plunger tube and the orange bolt) and you need a drill bit for 9/16" in order to allow the brass to fit. I find that this entire process rather difficult and lengthy to do.  However, when you have it done its an incredibly solid and reliable platform. This is a diagram that OZ Nerf Sarge/Spectre posted of his breech design. Hope it helps. 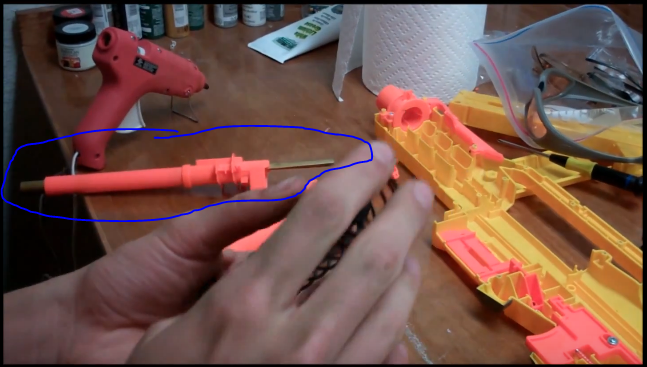 There is no 17/32" brass coming into contact with the dart in the bolt (orange piece that picks up darts). I think that a sleeper brass breech would work better. To my understanding, it's easier to make, and the write up is super clear. It should work great with that 9kg Spring. 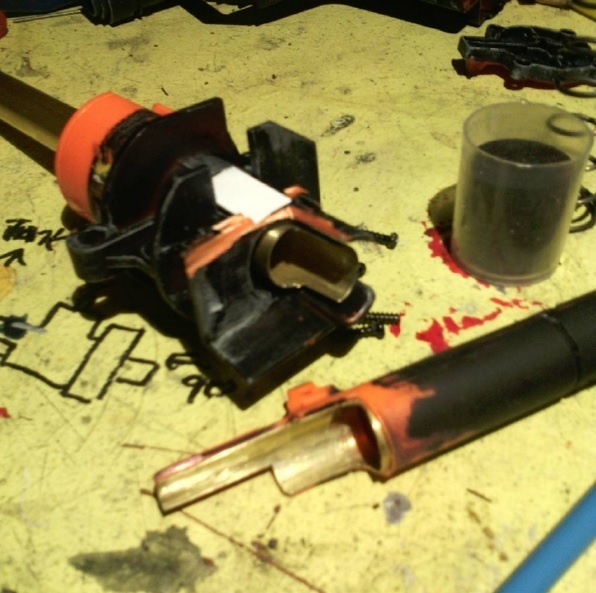 Optimum deadspace removal in the bolt for pusher breeches?